Which sponsor do Du prefer? Which grand slam would Du most like him to win? Will Murray ever be World no1? Can he do it? 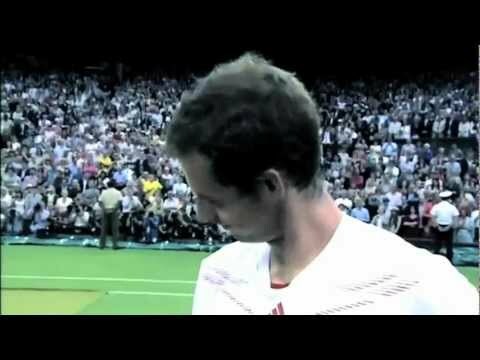 Wimbledon 2011? Die Fanauswahl: Yes, this is his year!Come On Andy! Should Henman hügel at Wimbledon be renamed Murray Mount? Yesterday world no.2 Andy Murray won the final of Wimbledon 2013 against World No.1 Novak Djokivios.Amazing techniques,he has fallen and risen always bouncing back and apparently he is in the running for a knighthood from the Queen.He made even Mehr history yesterday as the first British man in 77 years to win a Wimbledon final.I think his whole family is proud of him including his girlfriend because as I was watching the match she looked like she was about to explode with the shear fright fighting thinking he was going to lose. I’m back in the UK now and I’m still disappointed about my defeat at the US Open, I know I had a good chance this year. I’ve had a few days to reflect on the match and I know I didn’t play near the level I’m capable of. Having sagte that, full credit to Stan who played a great match, he’s a oben, nach oben player, has a solid game and played very well, sometimes Du have to give credit to the other player. Q. Du seem to have run into the Roddick of 2003. Were Du expecting that? Du always expect your opponents to play well, especially at this stage of the tournament. And he served great. Served really, really well in the tiebreaks. I think he maybe missed two first serves. The Sekunde one wasn't until 6‑4 in the tiebreak. He was serving really well at the start. And I had a few chances, Du know, in the first tiebreak. I had chances early in the third set. I didn't take them. [i]It was pretty special, I thought Stan played a great match. The standard he set at the start was tough to keep up with. He was playing great and he came out with some big shots. In five-set matches there are these momentum shifts sometimes. It was great, always when Du play indoors the atmosphere is great, but when you've got 15,000 supporters it makes it extra special, so thanks a lot. Q. What are your thoughts after that match? I thought it was good. Played well. Played maybe two bad service games, but you're always going to have acouple of moments like that in five‑set matches. I came through all the tough situations well. I played a solid tie-break, and I was obviously very happy to win in straight sets, because he's been playing very well. Q. What did Du feel was the key, especially at the end of that Sekunde set? Q. It seemed to go pretty well at the start, and then it all went to hell after the start of the third set, particularly that third set. [i]Yeah, he played a perfect third set. But, I had a long game on my serve. Maybe if I had won that maybe it would have been a bit different. I had the momentum there, and I didn't go with it. I've got to give a lot of credit to him. I played against him before and he hits the ball hard, but today he was hitting it huge. Nice signed Murray pic up for grabs at justcollecting.com. 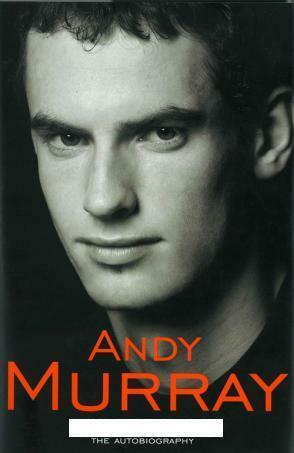 a link Wurde hinzugefügt: Andy Murray signed photograph up for grabs! What is the name of his Autobiography? Is Andy your sexiest Scottish male?